A beautiful Waring & Gillows Edwardian inlaid mahogany bed. 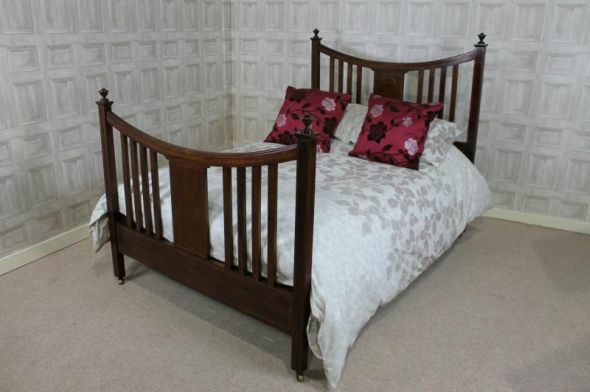 Featuring a lovely swept headboard and matching footboard, the bed is in good condition for its age. It still retains its original Waring & Gillows badge who are renowned for their superb quality furniture. The bed comes with its original sprung bed base so all that is required is a standard double mattress.